For one weekend, theatre students are in charge of their own productions. The One Act Play festival opened Friday night and featured five one act plays all directed by students. The One Act Play festival is a culmination of a directing course made up of both graduate and undergraduate students. These students go from learning how to direct a play in the classroom to moving the production to the stage and directing it themselves. Oliver Mayes is a first year graduate directing student and directed his first play, Ikke Ikke Nye Nye Nye, a Danish play by Lanford Wilson, in the festival. Mayes said it’s interesting to see how what goes on in the classroom comes to life on stage. 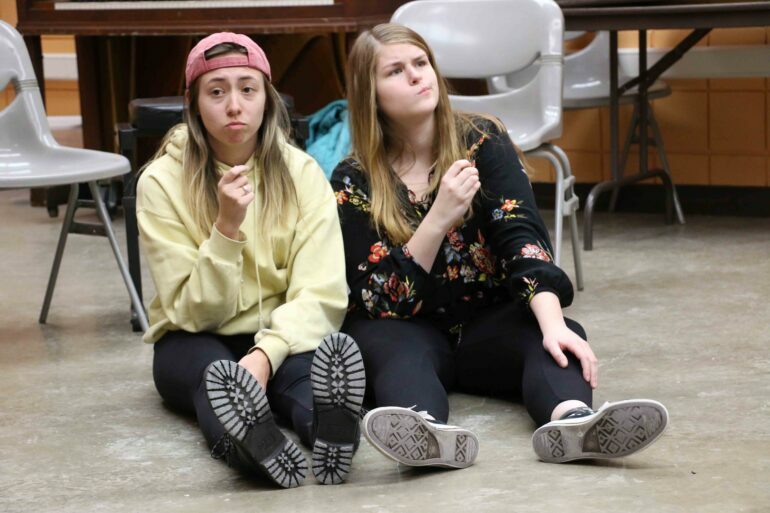 Students began preparing for the One Act Plays at the beginning of the semester, but the directing students knew what their plays were going to be far in advance. Mayes said he was drawn to directing because of all the ideas he wants to bring to life onstage. Not only did students direct the One Act Plays, but two of them wrote their own plays to be performed. Isaac Otterman wrote An American Tragedy and Tess Jones wrote Porkchop, both of which were comedies. Jones is a senior acting major and said the One Act Play Festival is a great way to showcase the talent in the USD theatre department. Jones wrote Porkchop for the One Act Play Festival, which was originally supposed to be a ten minute play, but was expanded after a handful of her classmates performed it. Jones said she based the play on her own personal experience. First year musical theatre major Patrick Simonsen played Clark in Porkchop. Simonsen said he enjoyed being a part of a student written production. The One Act Plays are just one of the many productions the USD theatre department puts on. Mayes said he hopes people enjoyed the one acts and come to many more productions in the future.